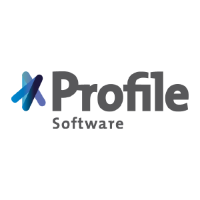 London-based investment management firm Dolfin has gone live with Profile Software’s IMSplus and Axia systems. Profile says its solutions form Dolfin’s new “end-to-end core wealth management platform”. IMSplus covers back office operations, whilst Axia is a front-end solution. Profile’s systems replaced Dolfin’s legacy tech that it had been using since inception in 2013. Dolfin provides custody, trading and asset management to both institutional and private clients. Until October 2016, the company was known as RMS Fingroup. The selection of IMSplus and Axia by Dolfin followed “a thorough vendor assessment process”, according to Profile. Banking Technology understands the contract was signed in mid-2015. The new platform “enables Dolfin to streamline trading, settlement and accounting processes (STP utilising Swift and FIX connectivity), API connectivity to external sources and utilise tools for performance and risk analysis, regulatory compliance and reporting throughout the business”, the vendor says. Dolfin is the third known UK-based taker of IMSplus. The other two are Rasmala (formerly European Islamic Investment Bank, EIIB) and NBG London (a subsidiary of National Bank of Greece). Kenya-based Family Bank has implemented Profile Software’s Acumen treasury management system. CNP Cyprus insurance holdings has chosen Profile Software’s IMSplus solution to manage its assets and fund management requirements to achieve “operational efficiency”. Orient Bank in Uganda has selected Profile Software's Acumen.